The Brexit department has refused to release key details about the 58 secret studies into how leaving the EU will impact the economy, saying officials need to make policy in a “safe space”. 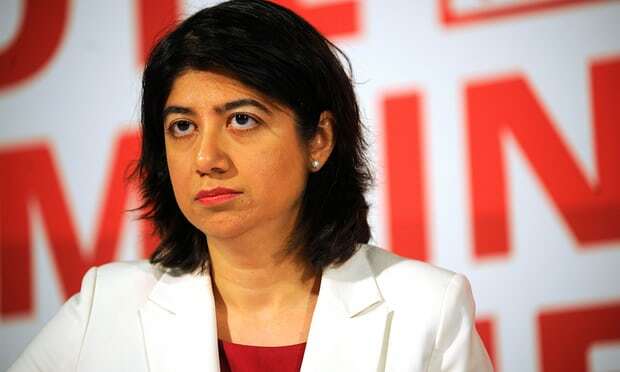 Seema Malhotra, a Labour MP on the Brexit committee, had asked to know the scope, terms of reference and state of completion of the work on 58 sectors of the economy, but the department refused to release the details under freedom of information laws. “There is a strong public interest in policy-making associated with our exit from the EU being of the highest quality and conducted in a safe space to allow for design and deliberation to be done in private,” the Department for Exiting the EU (DExEU) said. The government did release a list of which sectors were covered by the studies. The list, ranging from advertising, aerospace and agriculture to telecommunications, textiles and tourism, covers almost 90% of the economy. But Malhotra said the lack of transparency remained a key concern, with less than 18 months to go before Brexit is due to take place at the end of March 2019. “The government’s reference to needing to conduct Brexit policy-making in a ‘safe place to allow for design and deliberation to be done in private’ seems to be more about keeping parliament and the public in the dark,” she said. The government’s refusal to make public more details about its impact studies comes as Theresa May’s cabinet prepares for a discussion on the next stage of the Brexit process on Tuesday morning. The meeting will cover the prime minister’s hopes for progress on a trade agreement as well as preparations for a “no deal” scenario if talks with Brussels break down. May is hoping talks will progress on the issues of money, Northern Ireland and citizens’ rights to allow negotiations to move on to trade by December but, so far, there are no scheduled further rounds between David Davis, the Brexit secretary, and the EU chief negotiator Michel Barnier. The UK is trying to accelerate and intensify talks but the DExEU said the “shape of negotiations” until the December summit could not yet be confirmed. Barnier had a meeting on Monday with prominent remain campaigners, including former Liberal Democrat leader Nick Clegg, veteran Tory Ken Clarke and Labour peer Andrew Adonis, prompting accusations the EU was conducting parallel Brexit talks. EU officials insisted this was part of Barnier’s “open door” approach to meetings. Alexander Winterstein, a European commission spokesman, insisted that the only negotiations taking place were those involving the teams led by Davis and Barnier. With the talks at an impasse, David Miliband, the former foreign secretary who now runs the International Rescue Committee, said Britain has been left embarrassed on the world stage and there is international “bafflement” over Brexit. He said the UK was viewed from abroad as being at a “low ebb” and “in retreat” and called for Labour to press for the option of continued membership of the EU to remain on the table when parliament votes on the Brexit deal. In an interview in the December issue of British GQ, Miliband said: “I take no pleasure in Britain’s embarrassment. Those of us who are outside the country take absolutely no pleasure in the low ebb to which Britain has sunk. 0 Response to "Government refuses to release details of studies into economic impact of Brexit "